View cart “SYB Pocket Patch” has been added to your cart. 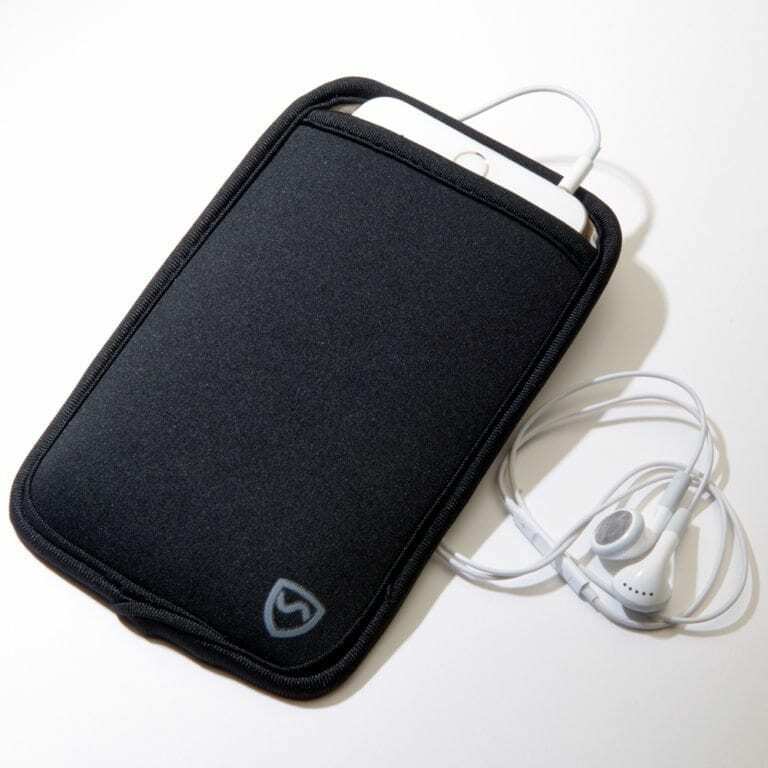 Protect your reproductive organs from harmful cell phone radiation with the Pocket Patch. Each Pocket Patch is designed to be quickly and easily applied on to the lining of any pocket to deflect up to 99% of cell phone radiation away from your body and reproductive organs. The Pocket Patch doesn’t alter the behavior of your phone, and it doesn’t lead to an increased drain of your phone’s battery. The Pocket Patch simply deflects the harmful radiation away from your sensitive bits. 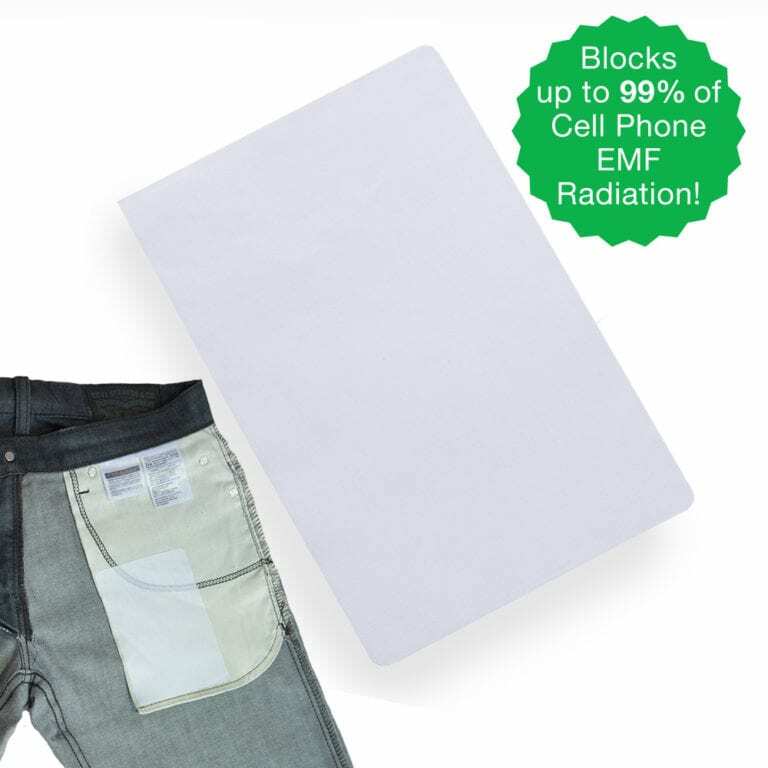 Quickly & Easily Turn Any Pocket Into an EMF Radiation Shield. Just Stick On Any Pocket Lining! 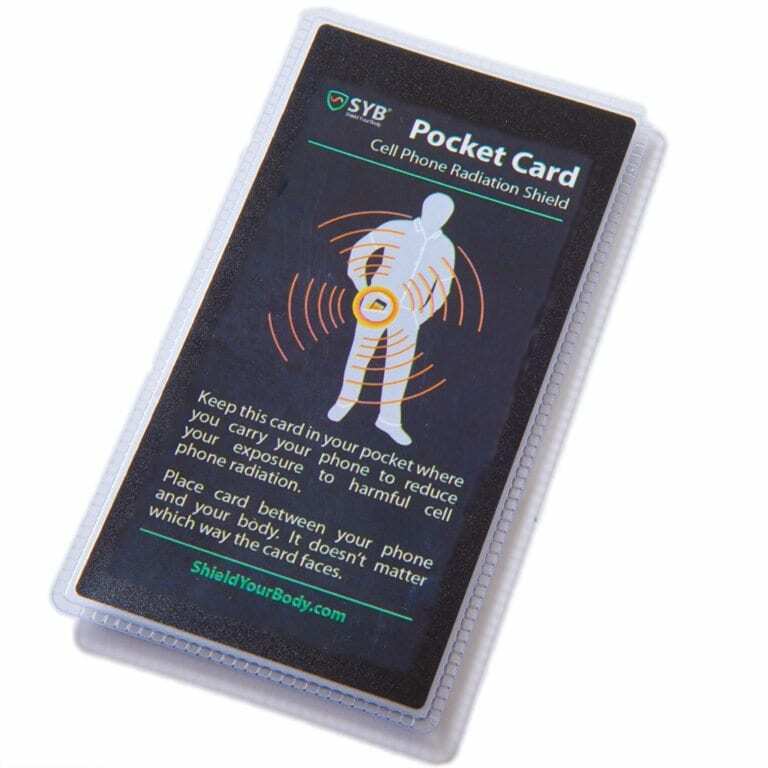 The SYB Pocket Patch turns any pocket into a powerful cell phone radiation shield. 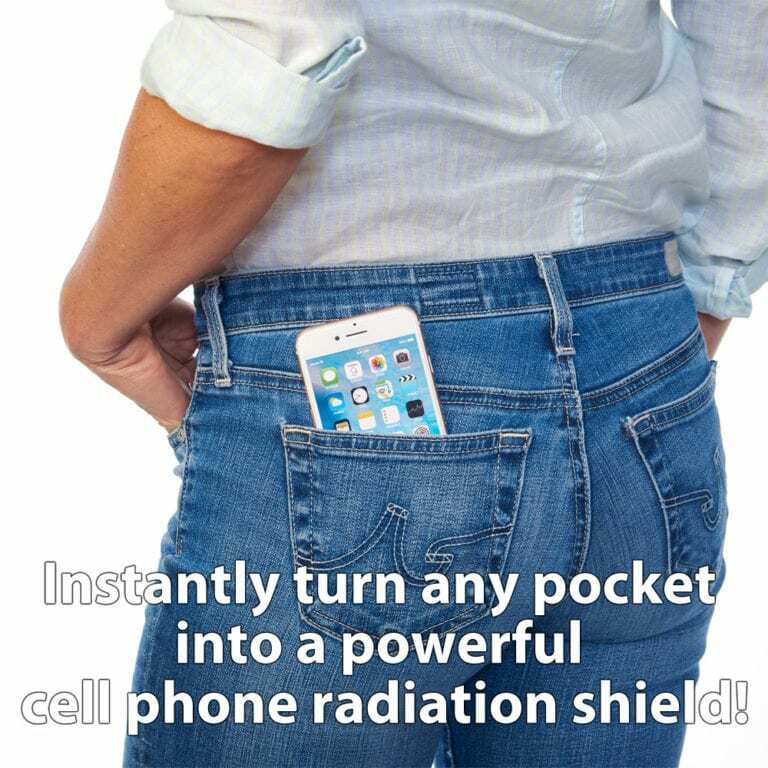 Just apply the Pocket Patch on any pocket to deflect cell phone radiation away from your body. Each pack of SYB Pocket Patches comes in a set of 3. Many scientific studies link this radiation with infertility and even impotence. The World Health Organization lists this radiation as a Class 2B Carcinogen. The SYB Pocket Patch doesn’t block your cell signal and it doesn’t drain your battery. 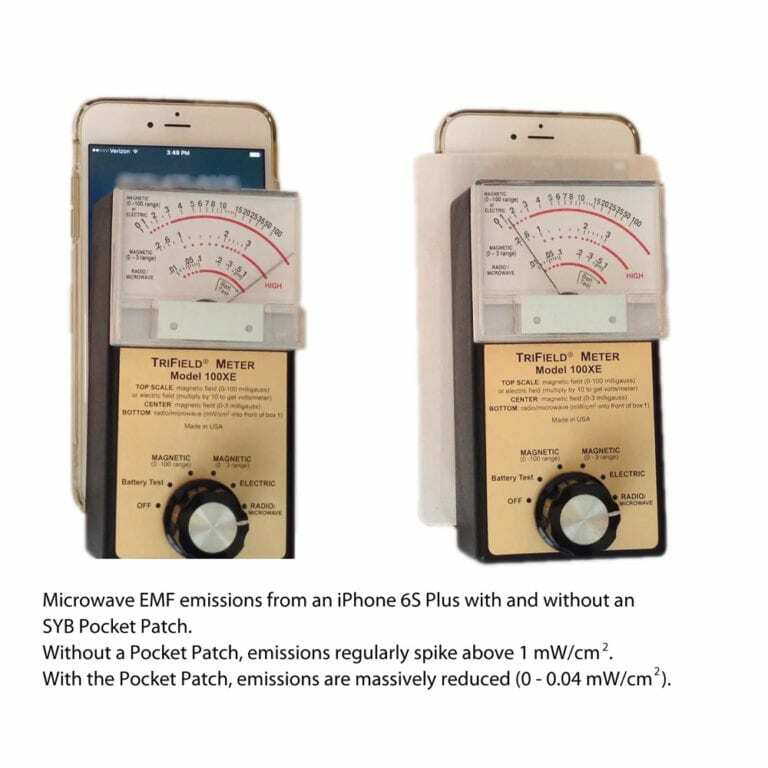 The Pocket Patch just deflects harmful radiation away from your sensitive bits. 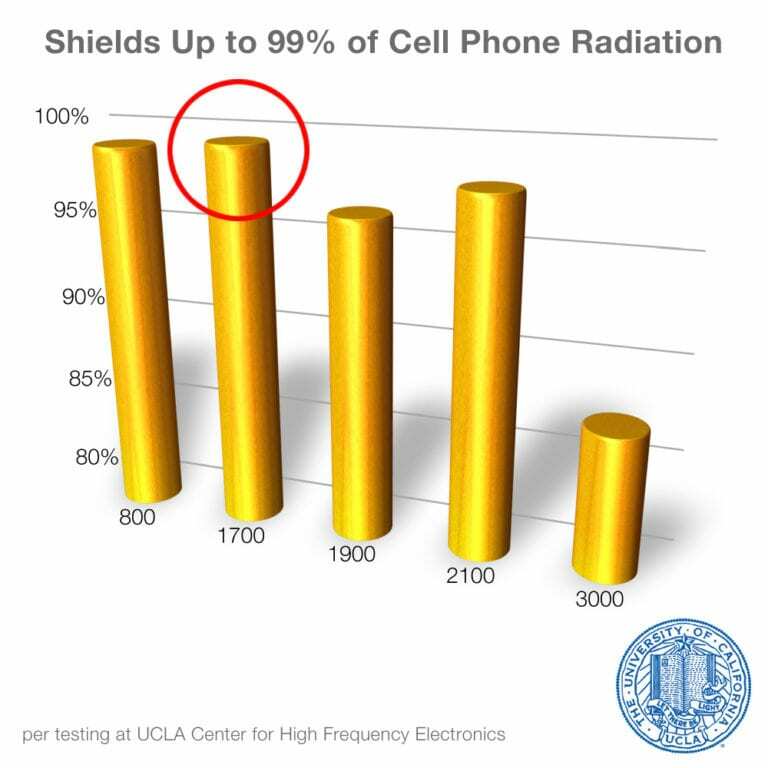 Testing at UCLA’s Center for High Frequency Electronics shows that the Pocket Patch deflects up to 99% of cell phone radiation. 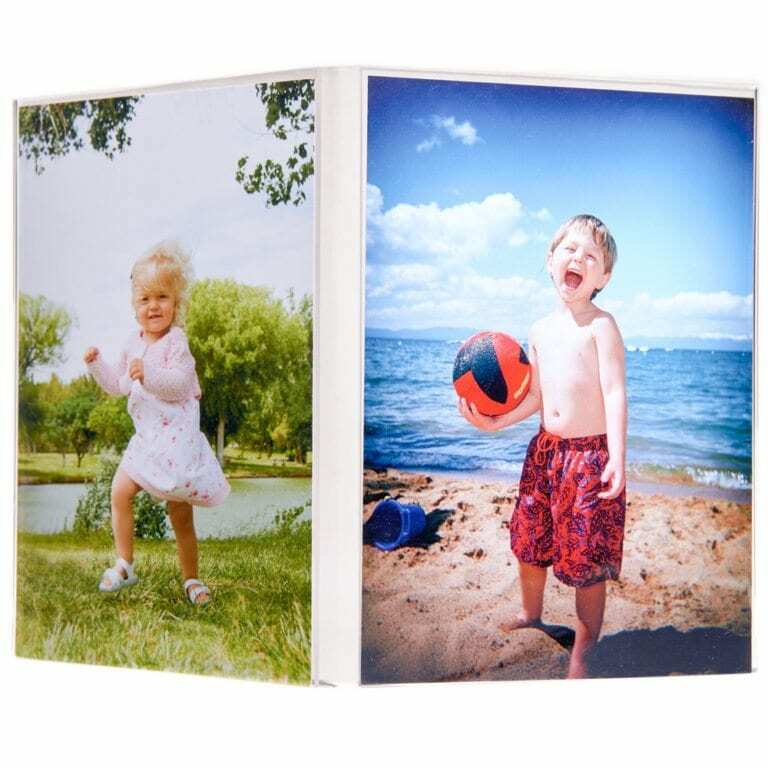 (Learn more about how we test.) Our Pocket Patches use well established, proven science. Woven into each Patch is gossamer thin metallic thread to form an EMF shield. Each SYB Pocket Patch is 6.25″ tall and 4″ wide. Our Patch is proudly made in the USA, and it’s super simple to apply. Just peel the back off the patch and press it onto the lining of whatever pocket you want to protect! Care Instructions: Machine wash on “normal cycle”, warm or cold, with normal detergent not bleach; tumble dry; do not dry clean. 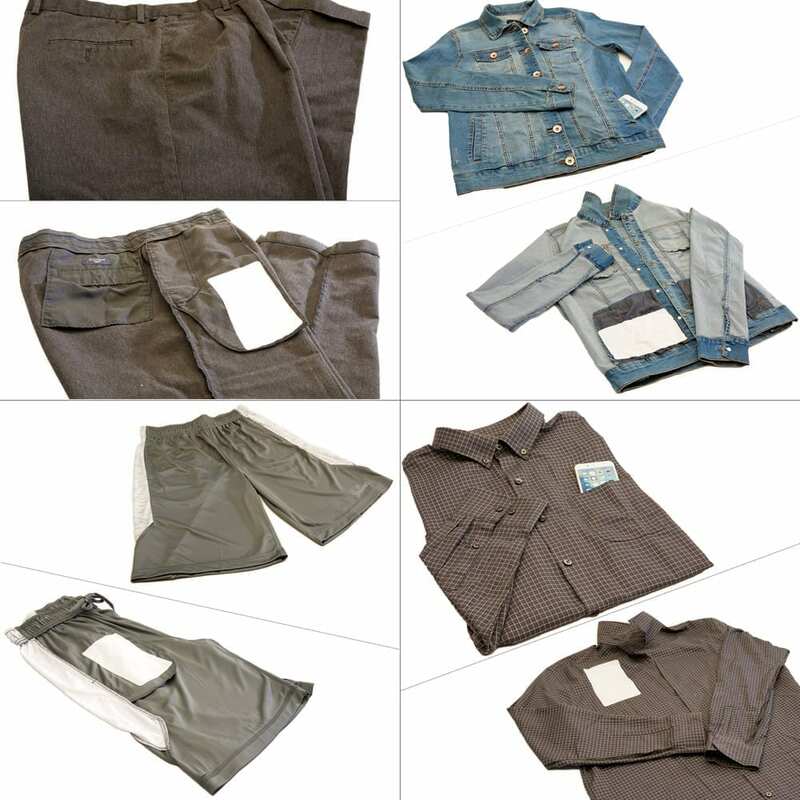 Scientific tests show you can wash the Pocket Patch at least 30 times with no loss of performance. Shield your body from harmful cell phone radiation with the SYB Pocket Patch (Patent Pending). Q: How many times can the Pocket Patch be washed? A: Per tests conducted at the University of the German Federal Armed Forces in Munich, the Pocket Patch can be washed at least 30 times, without losing its effectiveness. We plan to run additional tests to see how many times the Pocket Patch can actually be washed without losing effectiveness. Unfortunately, such tests can be very expensive. So for now, we can say that they can be washed up to 30 times with no loss in performance. Q: Can the Pocket Patch be used on any pocket? 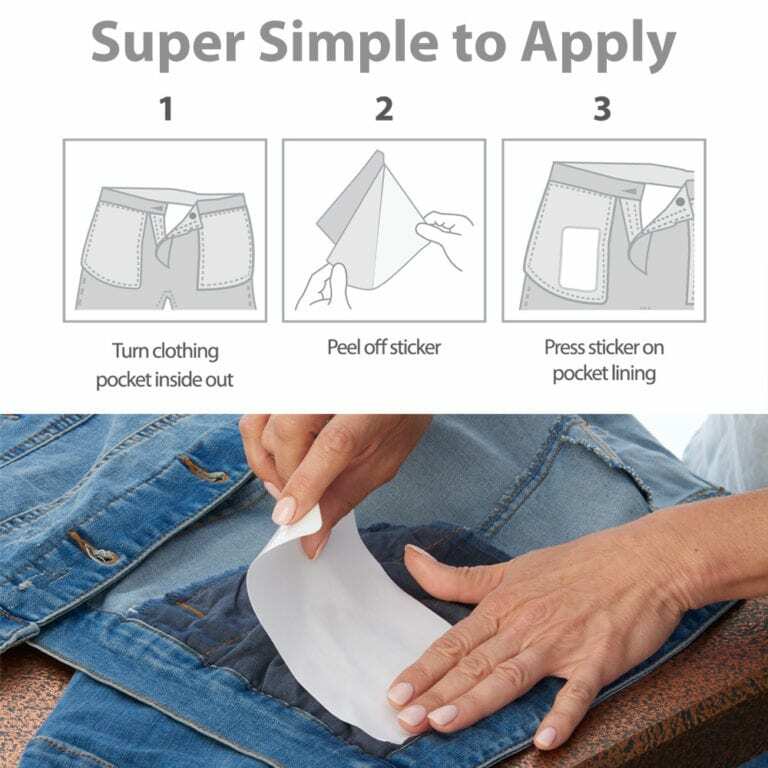 A: Yes, the Pocket Patch can be used on any type of pocket— front pockets, rear pockets... pockets on jeans, pockets on slacks... even breast pockets (in jackets, for example). Any pocket you can iron on the Pocket Patch is a pocket where the Pocket Patch can be used. Q: Can the Pocket Patch be applied directly to my phone? A: The Pocket Patch is not designed to stick to a phone. If you stick it on the front, of course, you will be unable to use the touch screen. And if you stick it on the back, you would actually deflect more radiation into your head when speaking on the phone. So, the Pocket Patch is only designed to be ironed on to pockets where you carry your phone. Such as in your jeans, or in a jacket pocket. Q: Does the phone receive a signal while using the Pocket Patch? A: Yes, the phone still operates normally when using the Pocket Patch. The reason is, the Pocket Patch is designed to be used covering only one side of the phone— the part between the phone and your body. So the phone can still send and receive wireless signals through the other side. And so, not only does the phone still work, but unlike other phone shielding products, the Pocket Patch does not increase the drain on your phone’s battery. Q: I tried wrapping my phone in pocket patches and it showed no reduction in signal strength and was still capable of recieving an incoming call. How can the patch reduce SAR by over 90% without affecting the signal strength? A: Hello Morgan: Thank you for your thoughtful questions. They are good ones. In response, first I would say that wrapping the phone in our Patches is not a suitable test, for two primary reasons. 1) Because the way cell phones are designed, if they have trouble making a connection to a cell tower, they will continue to increase the power of their emissions to compensate. In other words, shielding the phone entirely forces the phone to increase its emissions. 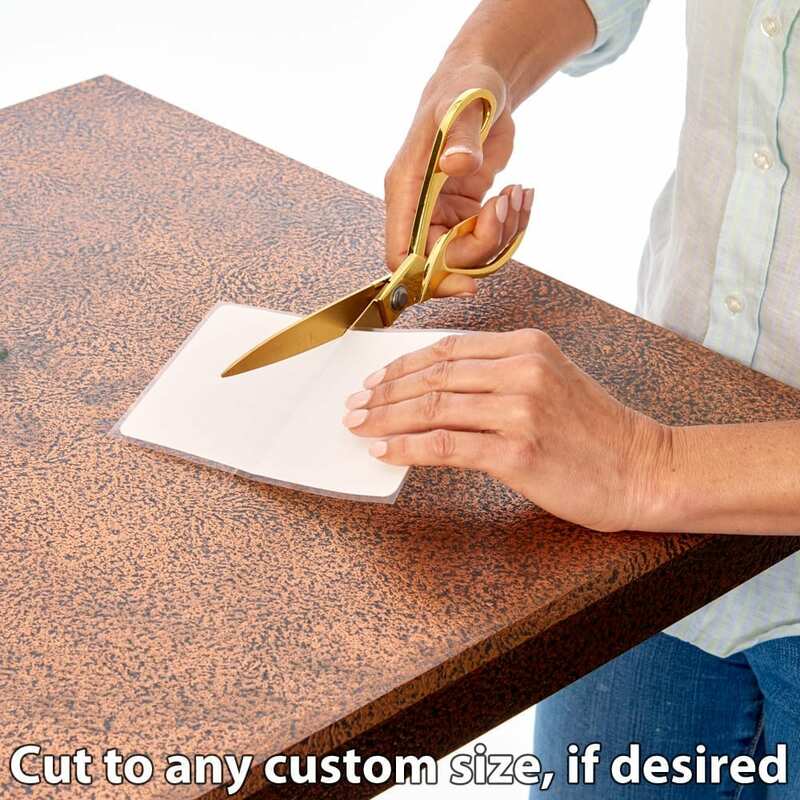 And 2) because any gaps or seams in your wrapping would permit leakage in the shielding. You also ask "How can the patch reduce SAR by over 90% without affecting the signal strength?" Again, a good question. This is because our Patches shield on only one side-- the pocket lining between your phone and your body. This deflects a big chunk of the phone's radiation emissions away from your body, but allows the phone to continue operating normally because it can still communicate in all other directions. Thank you again. Please let us know if you have any other questions.